Tokina has announced it will be exhibiting two soon-to-be-released lenses at the CP+ trade show in Japan. The AT-X 70-200 F4 PRO FX VCM-S is a telephoto zoom that's designed for use on both full frame and APS-C SLRs, and features both optical image stabilisation and a ring-type ultrasonic autofocus motor with full-time manual override. Meanwhile the AT-X 12-28 F4 PRO DX is a replacement for the company's existing 12-24mm F4 wideangle zoom for APS-C cameras. 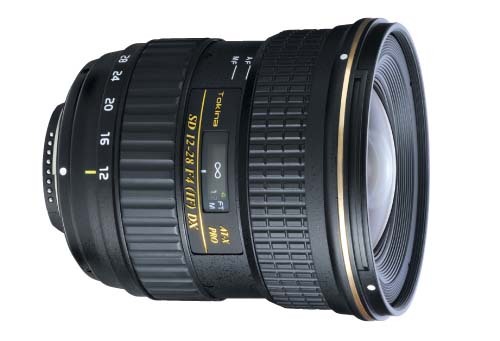 But rather than making the lens wider to match its competitors, Tokina has chosen to extend it further into the 'normal' range, to give an 18-42mm equivalent zoom. 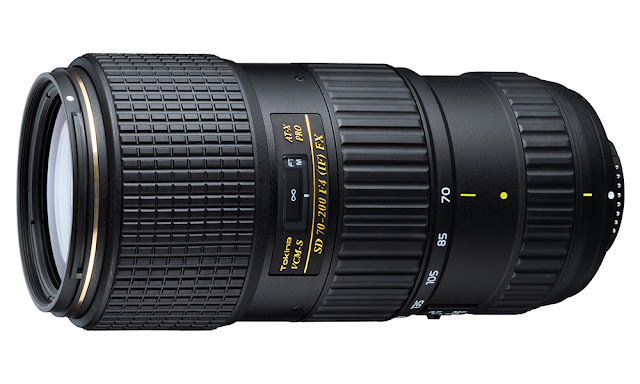 The 70-200mm F4 was first shown as a mock-up at CP+ last year (click here for link). It appears that the version on display this year is fully-working, and will be released to the market soon. There's no information yet on pricing and availability, or even which mounts the lenses will be made for (historically Tokina has produced lenses in Canon and Nikon versions, and most recently the 11-16mm F2.8 in Sony fit too). Birdie, birdie please stand still! !